On October 17, 2017, the Board of Directors elected to appoint Professor Yoichi Yamaguchi, Dean of the Graduate School, to serve as TCU’s eighth president beginning from April 2018. The president’s term is four years. 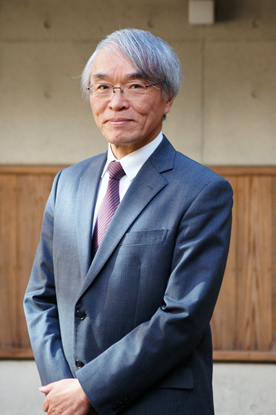 Furthermore, following the sudden passing of President Takanori Kobayashi on October 24, the Board elected on November 14 to appoint Provost Shohei Yamato to serve as Interim President from October 25 to December 31, 2017, and to appoint Professor Yoichi Yamaguchi to serve as Interim President from January 1 to March 31, 2018. The positions of Provost and Dean of the Graduate School for the new term will be determined and announced at a later date. I am honored to have been appointed to serve as president from April 2018. This month I will begin preparing for the new academic year as I follow Provost Shohei Yamato in the role of Interim President following the passing of President Takanori Kobayashi. With the motto “Christ is All,” and the mission to raise up “Christians who personify the gospel,” TCU has adopted as its concept “Stand in the Gap.” I will do my best to carry on the mission of President Kobayashi, a uniter of people. I ask for your ongoing prayers and support. Born in Gunma Prefecture in 1958. Graduated Kanazawa University, Tokyo Christian Theological Seminary, and Rikkyo University Graduate School (Masters). Served as Pastor of Tokumaru Christ Church (Japan Alliance Christ Church) from 1985 to 1990; Pastor of Agatsuma Church (United Church of Christ in Japan) from 1993 to 2003; President of Tokyo Christian Theological Seminary from 2004 to 2011; Professor of Tokyo Christian University (Japanese Church History and Practical Theology), Director of the Church Ministries Program, and Dean of the Graduate School from 2011; Pastor of Ichikawa Evangelical Church (Japan Alliance Christ Church) and Member of the Japan Alliance Christ Church Board from 2005.